0 Comments Published by KL Ocs Kid on Sunday, October 25, 2009 at 12:09 PM. 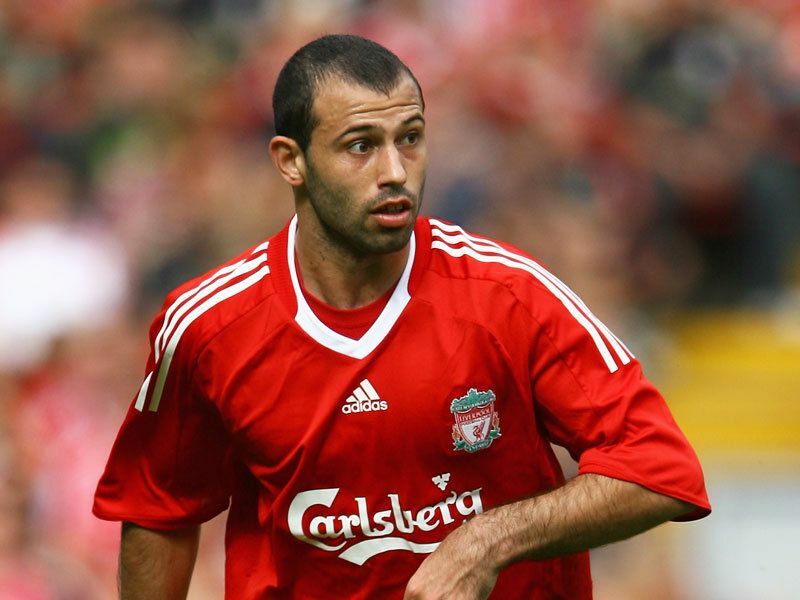 Javier Mascherano feels Liverpool must follow Argentina's lead as they attempt to emerge from their current slump. The Reds have suffered four consecutive defeats, their worst run of form for 22 years, and have seen the future of boss Rafa Benitez increasingly called into question. Things do not get any easier either, with reigning champions Manchester United due at Anfield on Sunday for what promises to be an intriguing North West derby. Should Liverpool suffer a further setback against their arch rivals, their dreams of taking the Premier League title will be all but extinguished. 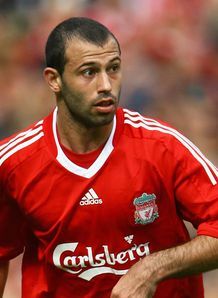 Mascherano, though, is confident that Liverpool can bounce back from recent disappointments and has pointed to Argentina's qualification for the 2010 World Cup, in the face of heated criticism, as proof that adversity can be conquered. "I am relaxed now that Argentina have qualified for the World Cup finals, I can concentrate only on Liverpool," said the midfield general. "This is not a good situation at the club, and I want to give Liverpool my best. "I am captain of my country, and we were really under pressure in the final two qualifying games; people said we were out, that was very difficult. "But we won both those games. We have qualified. Maybe it will be the same for Liverpool now if we start to win, things will start to happen for us." Liverpool could be without talismanic skipper Steven Gerrard and fearsome frontman Fernando Torres against United but, regardless of who takes to the field, Mascherano is adamant Benitez's men can prevail. "If we can beat United then the confidence will be back, it is important to do that," he said. "We beat them twice last season. We know what we are capable of. Hopefully our form will be like that on Sunday. "It is a difficult situation, we have lost four in a row. But do not forget that this is a team who last season were doing very well, we must keep going and working. "The team is not playing well, and a lot of players are not in the best form. That is not good and we are losing confidence, but we have to believe that we can overcome this." He added: "Even without Steven, or Fernando, we believe we can still win matches. We won a lot of games last season without the pair of them on the pitch together. "We are trying all the time to give our best. Maybe now we have to show character, personality and hard work. "It is difficult. Liverpool is not a team that loses a lot of games. Now we have lost six games this season, that is different for us and difficult. "We cannot let that bother us. We must think only of winning on Sunday. We can still win the league, but we must start winning and stop dropping so many points."